Snow White is coming back for her second round in theaters this year. But this isn’t the widely panned, mostly kid friendly, version that hit theaters two months ago. This one is for grown ups. Snow White’s first foray into theaters this year, “Mirror, Mirror” (we’re taking about the kid friendly one here), was released on March 30. It starred Lily Collins as Snow White, and Julia Roberts as the Queen. It has received only a 51% ‘liked it’ rating from movie goers over at RottenTomatoes.com… and just a 50% ‘freshness’ rating from critics. My 9 year old movie loving daughter saw it with a friend and said it was ‘good,’ but hasn’t mentioned it since. Hmmm. 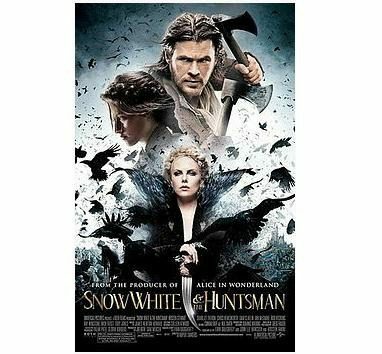 From what we can tell about the new movie so far, “Snow White and the Huntsman” appears to be a totally different animal. The film is described as a much darker take on the fairy tale. Snow White is no damsel in distress in this flick, at least not for long. 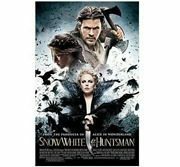 The Huntsman sent to track down and kill the princess instead schools her in the art of war. In this version, Snow White returns to the kingdom as a warrior princess (a fact not overlooked by the Xena fans around here). Yes, me and my husband are headed on a date night to see this on Friday – can’t wait, it looks great!